I would like to say thank you to Casa Loma team! 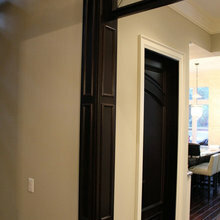 They have done a wonderful job with my interior doors. Exceeded all expectations. Keep up the good work!! We had an entrance door installed by Casa Loma Doors yesterday. The door is solid oak and it looks great, we are the envy of our neighbourhood. Installers were on time and well mannered, the job is done superbly and caulking is very neat. I would definitely recommend Casa Loma Doors to all my friends and family. We had an excellent experience with Casa Loma Doors & Art Glass of choosing and purchasing glass inserts for our kitchen project. The glass allowed to execute our design idea and added significant value to overall kitchen appearance I have and will continue to recommend this company to friends, family, and strangers who are looking to beyond with their kitchen. 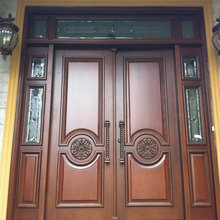 I am a proud owner of a Casa Loma custom made wooden entry door. I have referred many friends to Serge Resche and the team! 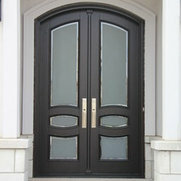 They have done a fabulous job with my entry door and Tiffany style glass window inserts through out my home!! Thank you guys! Tatiana, we had a lot of fun with your project! 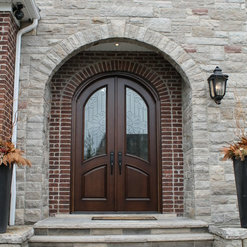 Casa Loma Doors are very knowledgeable and creative and offer only the best designs and materials available for their clients. 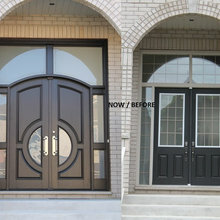 The custom designed doors with specialty glass inserts for my clients home were absolutely gorgeous and the service has been excellent. 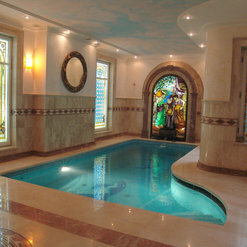 As a professional interior design consultant, I would recommend Casa Loma Doors to all of my colleagues and clients. Commented: Where can I get this doorHi Kola, we ship all across North America. 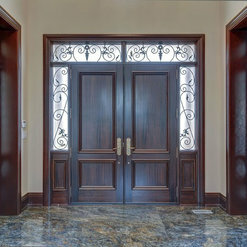 Please email us your contact information to info@casalomadoors.com Thanks Serge R.
Commented: hi.. I need 5 of this door can someone please help me ?Greg, these doors were made using White 1/4 saw Oak, poly based spray finish.